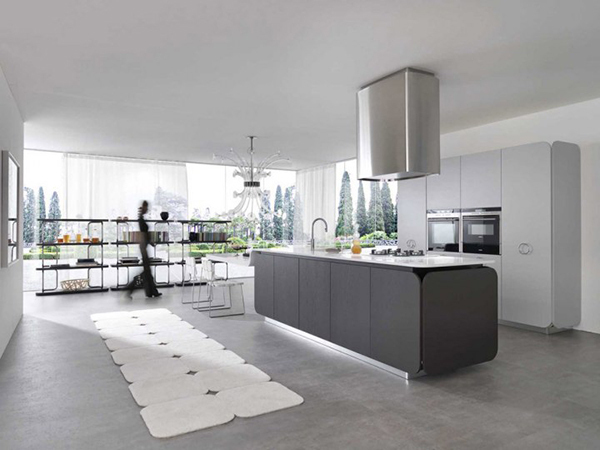 Euromobil partnered with Simone Micheli to develop a new kitchen line, called IT-IS, that offers an array of exceptional items and cool kitchen ideas perfect for any modern kitchen. The high-quality Italian made products are fun and functional at the same time. 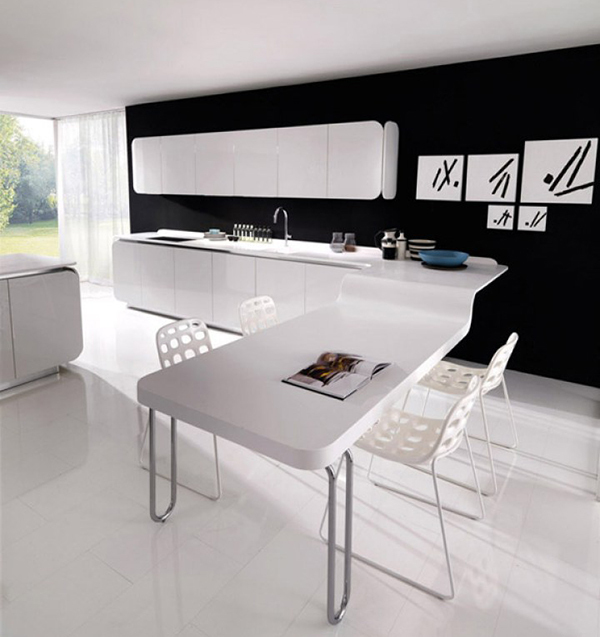 They offer a completely contemporary and new approach to kitchen design. Each piece can become a focal point in the kitchen or fit into a ulta-modern kitchen setting. Sleek lines and stainless steel accents create futuristic and unique pieces. 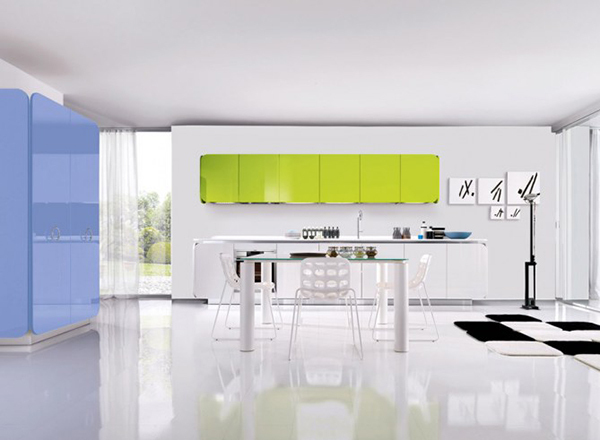 Floating cabinets with no knobs are sleek and modern, creating clean, crisp lines. 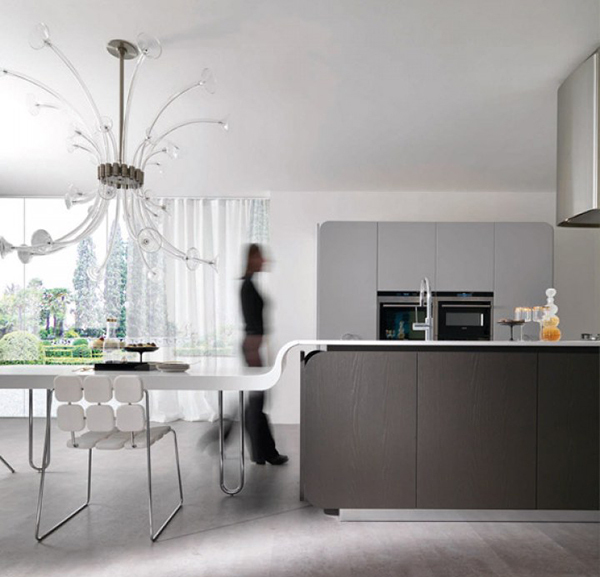 Euromobil has mastered modern kitchens with their pieces. 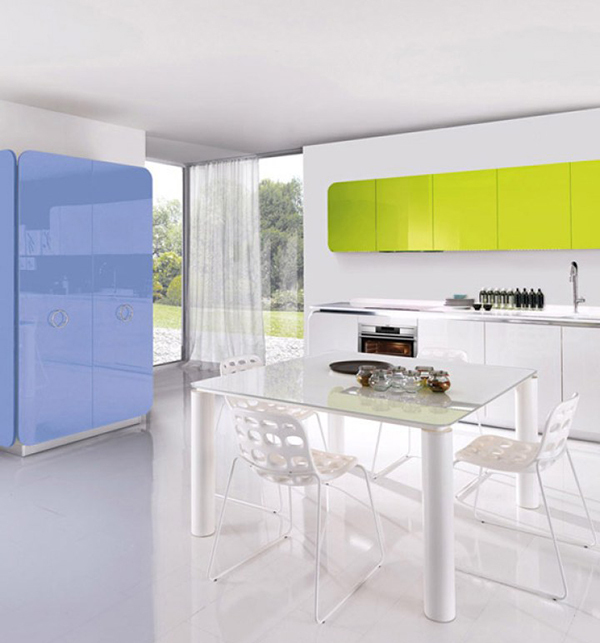 The cabinets look gorgeous in bold black and white or funky in yellow, blue and pink. The company offers endless storage options for the modern style lover. An organized kitchen, or any space for that matter, is a must for optimal modern style. 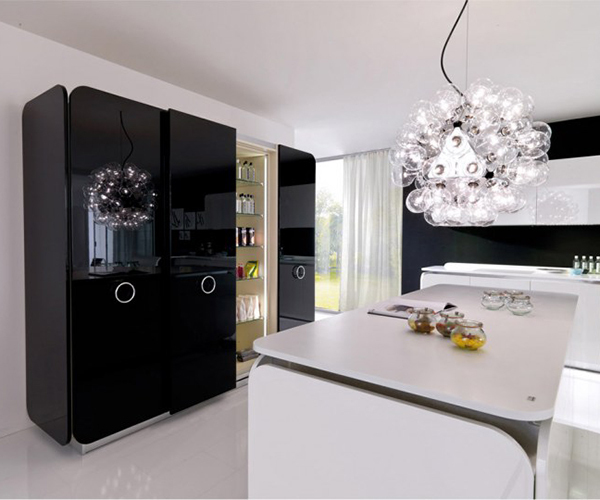 Minimalistic and modern style can further be seen with Euromobil’s hidden appliances concept. The space is really pulled together with appliances covered up by moving doors. 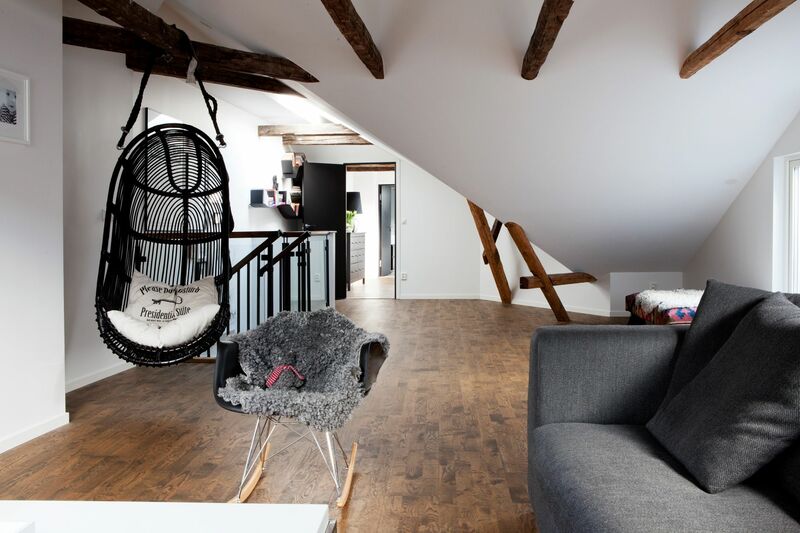 It really makes the place sleek and functional. The only downside is that the doors must be moved in order to use your appliances, but then they can be closed and hide all of the dirty dishes if you want to put them off until tomorrow. It is different and unique nonetheless. You will have your friends asking where your microwave is. Lighting is incorporated in some of the pieces. 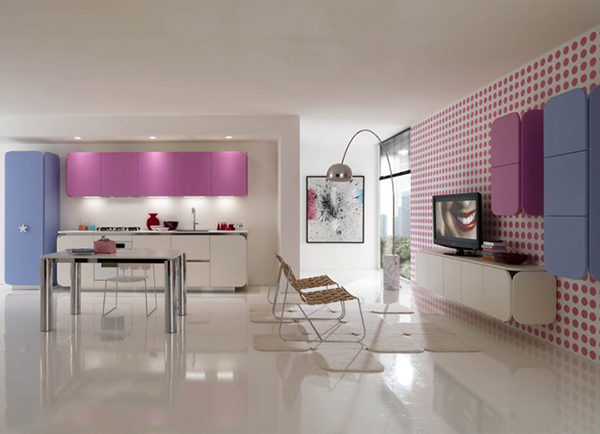 This is a new and fresh concept in kitchen design. Only the most modern kitchens have this feature. A lot of cool kitchen ideas can be found in the line. 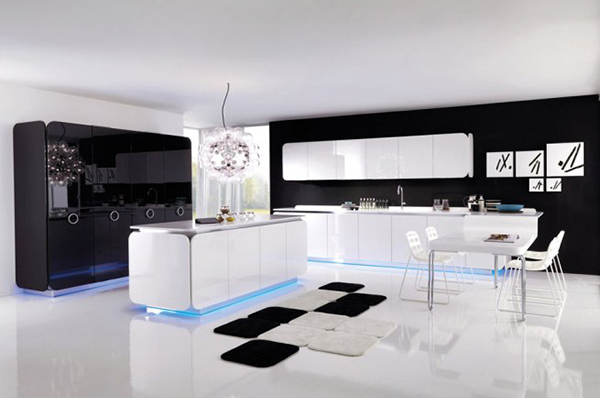 Colored lights can add an unparalled ambiance in the kitchen. It is also great light to leave on a night. No more bumping into cabinet corners when sneaking to the kitchen for a midnight snack!